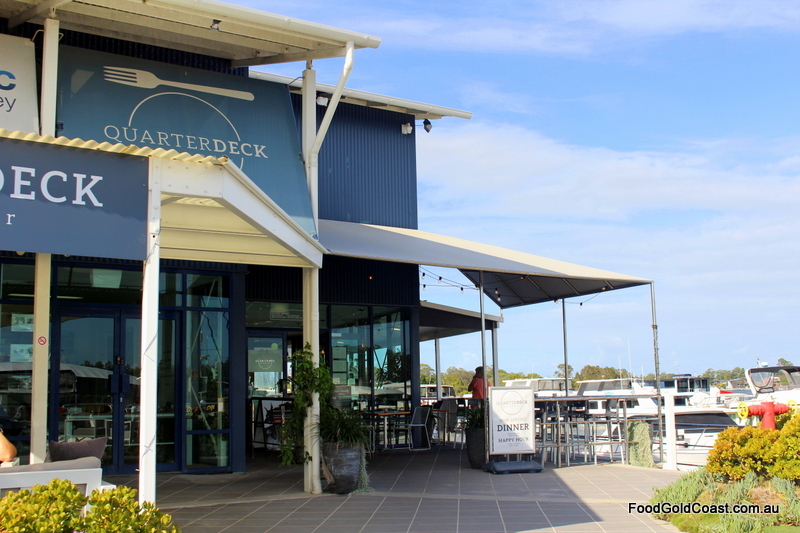 With waterfront dining at a premium on the Gold Coast, it’s surprising that Quarterdeck Kitchen & Bar is still a secret haven, frequented mostly by locals, boaties and a number of stars and millionaires. 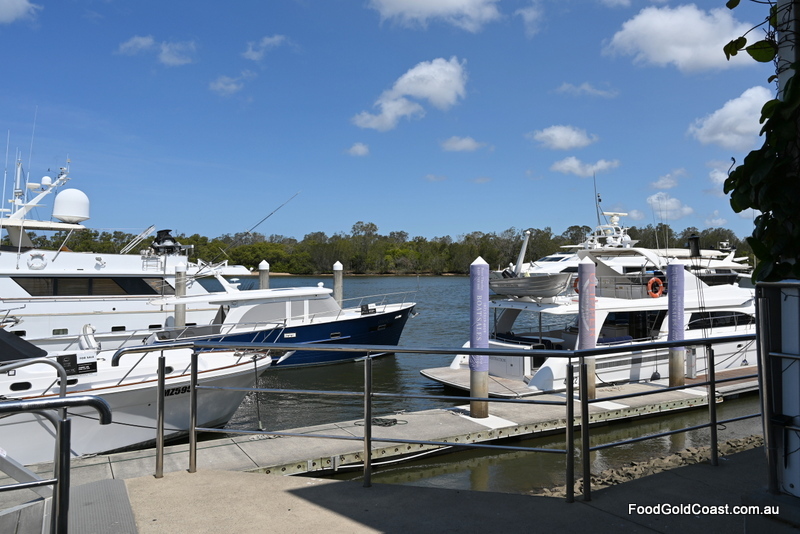 Quarterdeck boasts one of our best locations, fronting the marina in the heart of the Gold Coast Marine Precinct. While its ‘location’ is a constant, it has enjoyed heydays as well as some less prosperous times when the tide was out. Fortunately, new owner Kieran Hogue has brought it back to its former glory days. Once the manager of Brisbane venues Bitter Sweet at New Farm and West End’s Lock ‘n’ Load Bistro, with a young family of his own, Kieran says it was time to own his own place. Since purchasing the restaurant in 2017, Kieran and his wife have undertaken some smart renovations, including a stainless-steel bar and new tables that Kieran built himself. Now, it’s a casual waterfront venue decked out like a beach house, instantly approachable and welcoming, Kieran manning front of house in a relaxed, efficient manner. On entering, there’s a long bar and servery on our left in front of the kitchen, the front and righthand side of the venue boasting floor to ceiling glass. Stunning 180-degree view of yachts, water and the unspoiled natural habitat of Hope Island stretch out in front of its verandas; all without the hype of sister locations! The new bar is well-stocked with four local beers on tap, cocktails and wine, including several from the local Witches Falls, both ‘Bird Dog’ and their top draw ‘Wild Ferment’ range. 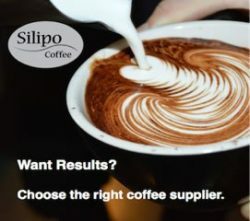 They’re also serving Wolff Coffee from Brisbane and organic tea by Chamellia. There’s a serenity to be enjoyed when you dine overlooking water, for us best enjoyed in daylight. Partial to a long lunch, we’re happy to oblige. 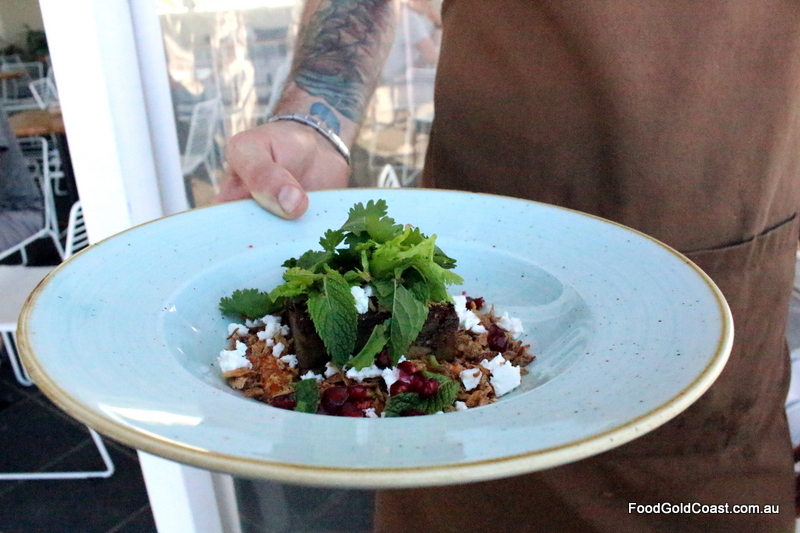 Chef Kingsley Saville (ex-Beaches on Tedder) in the kitchen is turning out uncomplicated fresh fare that’s perfectly suited to a water-side location. Changing the menu seasonally, Kingsley makes the most of local produce, including seafood, a winner with coastal diners. The envy of many, he can buy from the fishing dock right behind the restaurant. 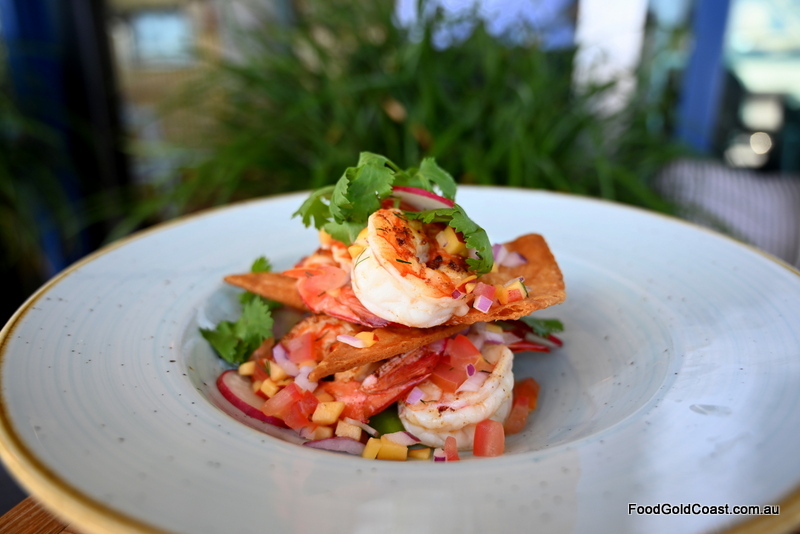 Their plump local trawler King Prawns have been treated with respect, simply grilled with the addition of a seasonal fruit salsa with coriander, radish and avocado, a squeeze of lime, served with crispy tortilla crisps ($23). 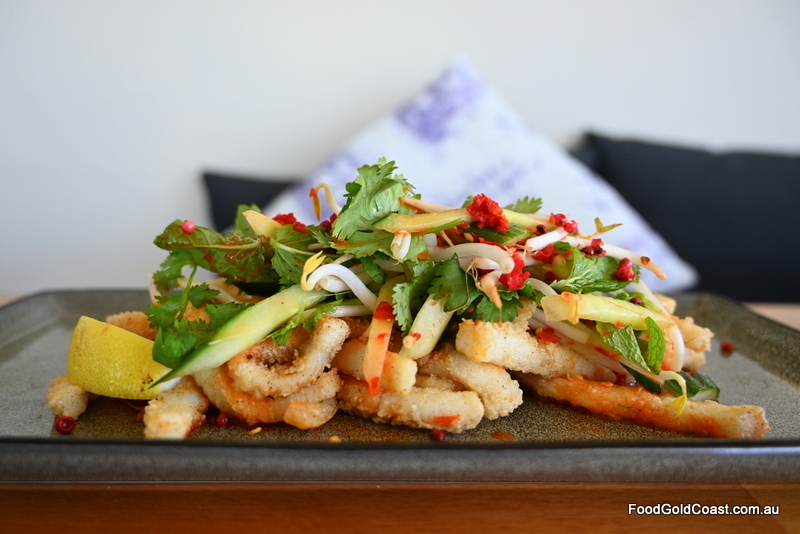 Tender squid seasoned in pink pepper is served with a cucumber, mint, coriander and beansprout salad with the bite of chilli nam jim dressing ($19). 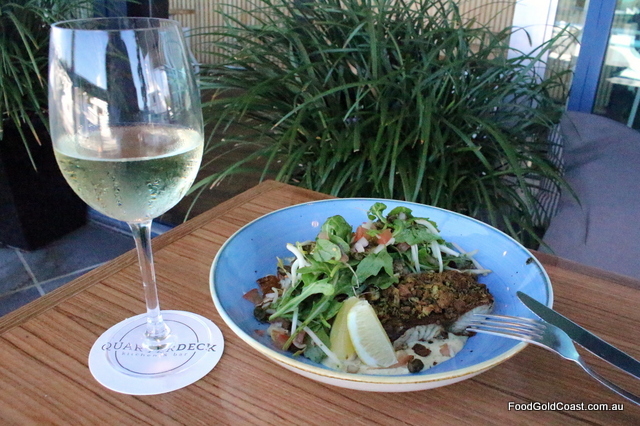 In a great rendition of the ever popular ‘Fish and chips with tartare’, Barramundi from Humpty Doo in the Northern Territory has been seared, a pesto crumb crust added before serving with crispy kipfler potato, a rocket and salsa salad with fried capers and a house tartare. The barra, cooked to perfection, is flaky, moist and sweet, having only ever been kept on ice rather than frozen. There’s also a Fisherman’s Basket on the menu, topping out the lunch list at $28. 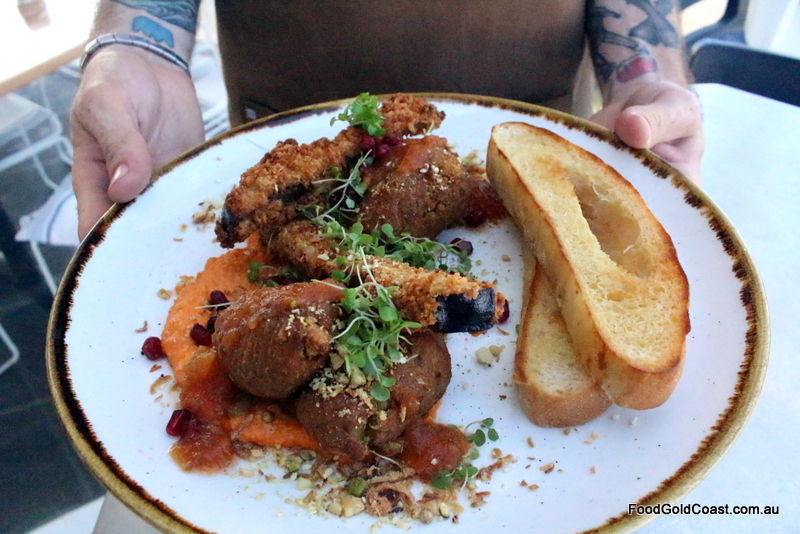 We also try a vegan dish – Chickpea falafels with house tomato relish, served with flat bread, hummus, dukkah, watercress and pomegranate, the accompanying eggplant fries adding even more interest ($22). They’re generous serves, a great size to share if you wish, especially if you want to indulge in dessert. Our meals are vibrant, interesting but not over-worked, salads fresh and light, leaving us with the desire to return and try another meal such as their sweet-potato hash stack topped with avocado and poached eggs for brekkie. Or we might bring friends back for sunset drinks and dinner, Happy Hour from 3 to 6pm Friday to Sunday, or to enjoy Sunday lunch with live music starting at 2pm. It defies belief that half of the northern GC population is not dining beside us. Instead, it’s our secret haven, with football royalty seated at the next table. We’re feeling chuffed to have chosen such a top spot for an inconspicuous brush with fame! It may just as likely be a multi-millionaire beside us, or a yachtie who’s just moored his boat. 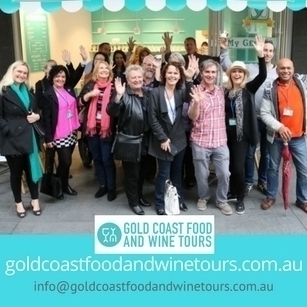 Come to think of it, this would be a perfect meeting point for a birthday celebration, a wedding, or a ‘Brisbane meets GC’ lunch date! Or just our next date? Nudge nudge! HOT TIP: Follow the yellow lined road through the marina to reach the restaurant. Free boat parking is available while dining at Quarterdeck, but ring ahead to book. NOTE: Good Food Gold Coast dined as guests of Quarterdeck.